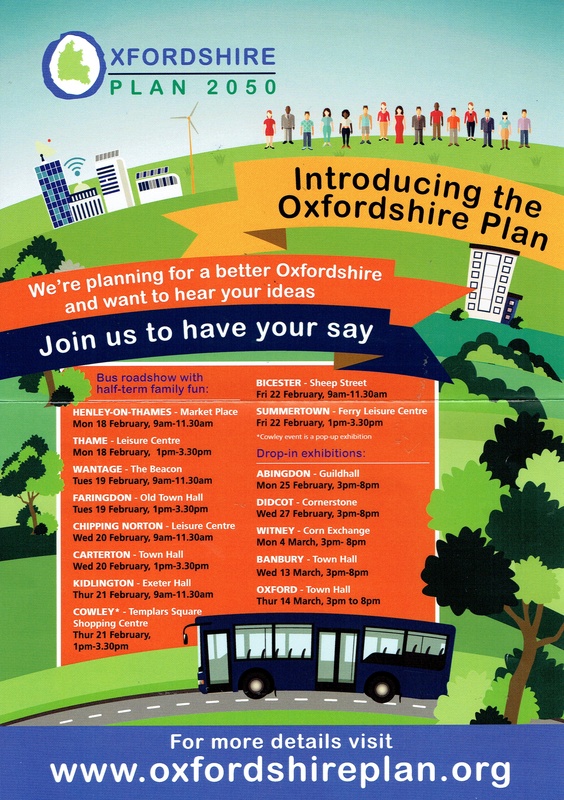 Please see www.oxfordshireplan.org which includes an introductory video and the attached scan. The nearest drop-in exhibitions will be held at the Guildhall, Abingdon on Monday 25th February and the Cornerstone, Didcot on Wednesday 27th February. Both these events run from 3.00 p.m. until 8.00 p.m. The Consultation period ends on 25th March and so this item can be discussed at the Council’s March meeting.